The Life and Death of Rockfishes – See. Food. Write. When a great meal comes together, it brings a smile to my face. I was very happy with how this blackened rockfish fillet turned out — crusted with dried fines herbes and freshly ground black pepper, served with a tomato, basil, mozzarella, and balsamic vinaigrette salad. With a glass of Lillet blanc, it was a delightful way to spend a summer afternoon. But I would’ve been even more delighted if I could’ve learned the true identity of my rockfish. 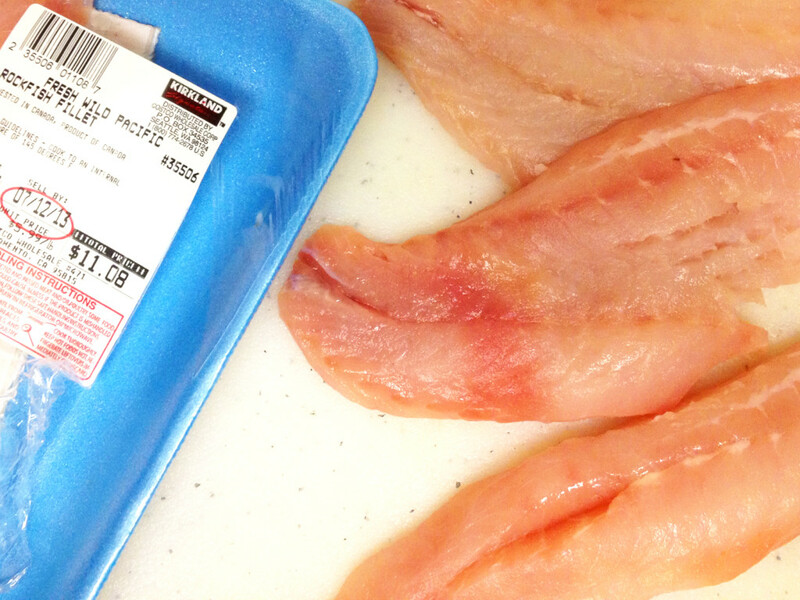 The trouble with fish sold in most U.S. supermarkets is that they are often anonymous. Stripped of their skin, fins and head, there is nothing identifiable about each slab of meat. 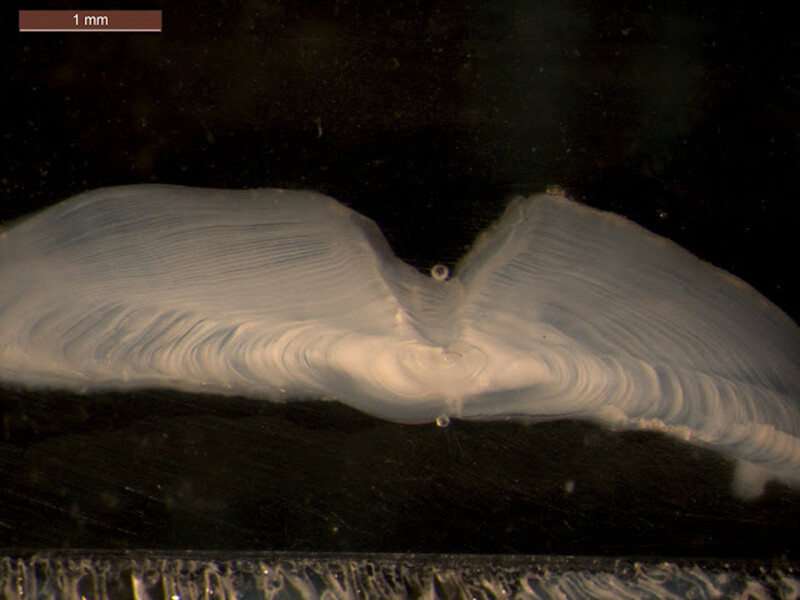 Rockfish fillets sold by a retailer. Photo CC-BY-4.0: Ben Young Landis. For as far removed as most U.S. shoppers are to traditional butchers and farm operations, at least most people can point out what a chicken or steer or turkey looks like. But the same isn’t true for fish. In this particular package of fish fillets, all I have to go on are “Pacific rockfish” and “harvested in Canada” — and this stray scale. A rockfish (Sebastes spp.) scale. The scale measures approximately 9 mm. Photo CC-BY-4.0: Ben Young Landis. This anonymity is especially complicated when rockfish are involved. Typically, when I’m faced with an unfamiliar fish, there is at least a name or some clue that helps me dig deeper at its identity. But look up “Canadian rockfish” online, and you’ll find that there are at least 34 species of rockfish in the seas of British Columbia. So which species might it be? The regularly updated commercial fishery summaries on the Fisheries and Oceans Canada website don’t offer much more help — they show that multiple rockfish species dominate the landings record. With what few clues and resources available to me — and to most casual enthusiasts — my investigation meets a dead end. We are left only with a handful of Sebastes. Ichthyologists classify most rockfishes under the scientific name Sebastes, which in turn are classified under Scorpaeniformes — the scorpionfishes. Like many other scorpionfishes, Sebastes rockfish have venom glands in their fin spines. The name Sebastes was taken from the Greek word sebastos (σεβαστός) — an honorific title given to Gaius Octavius, the first Emperor of the Roman Empire — meaning “venerable”. But if there is one bit of rockfish trivia you take away today, it should be how old Sebastes rockfish can grow. 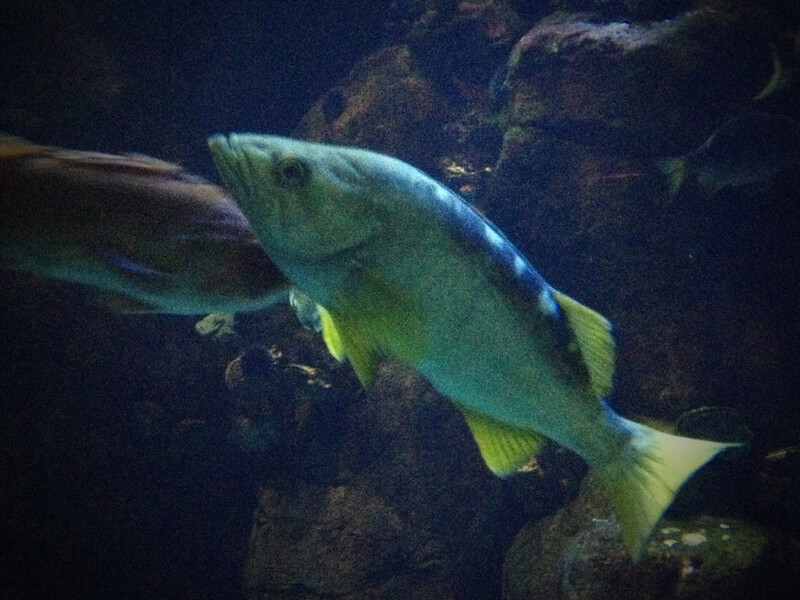 Sebastes rockfish are known to be incredibly long-lived. The Sebastes species with the longest estimated lifespans are the shortraker rockfish (Sebastes borealis) at 157 years, and the rougheye rockfish (Sebastes aleutianus) at an astounding 205 years. The four rockfish species commonly caught in British Columbia waters have estimated maximum ages of 100, 64, 60 and 82 — so given the size of the fish fillets, it is possible that the rockfish I had cooked and eaten was born sometime in the 1980’s or earlier. 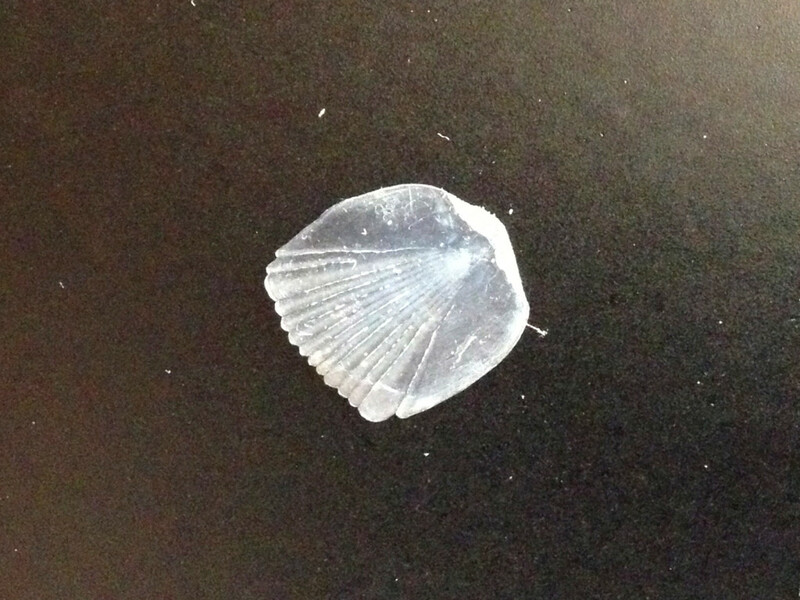 The earbone or “otolith” of a black rockfish (Sebastes melanops) bears rings that correspond with its age, and scientists often prepare otoliths for microscope examination in order to determine fish age. This rockfish is estimated to be more than 40 years old. Photo in Public Domain: Vanessa von Biela/U.S. Geological Survey. What you make of this fact is ultimately according to your individual perspective on Nature. At the least, it is reflective to know that some fish — typically thought of as these ever-replenishing, disposable resources — have lifetimes on the same scale as human beings. That our human world goes on, decade after decade, with its changes in history and culture, from political upheavals to the wax and wane of fashions and arts — and all the while, schools upon schools of rockfishes swim the Pacific depths, living their lifetimes alongside ours, somehow making their way year after year, eating, sleeping, reproducing. And on any given day, some rockfish is also meeting its fate in the jaws of a shark or a seal. Or, perhaps, under the blade of a fillet knife — and eventually in the snug, chilled embrace of supermarket cling wrap. 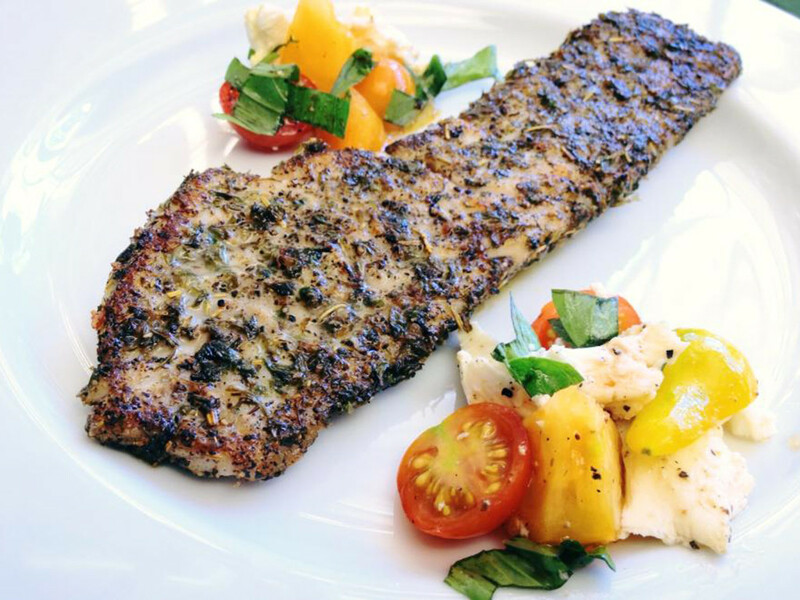 Rockfish fillet, blackened. Served with heirloom tomato and mozzarella salad. Photo CC-BY-4.0: Ben Young Landis. A yellowtail rockfish (Sebastes flavidus), one of the top commercial rockfish species from British Columbia, and a possible identity for our anonymous fillet. Photographed at the Steinhart Aquarium, California Academy of Sciences. Photo © Ben Young Landis. only you would have thought to collect and photograph a stray fish scale, and then take us on a wending path covering the biology and gastronomy of rockfish. . . to arrive at our shared mortality with these interesting creatures. Thanks for letting us enjoy the complexity and beauty of your mind. truly food for thought! Joyce, I’m thrilled you enjoyed the rockfish article. There is a story behind every piece of food we pick up and eat, and you never know what new awareness and appreciation might be revealed from digging just a little deeper to learn about our food! Good to get some perspective, especially now that we rarely buy (or even see) whole animals. Maybe truth in labeling should include pictures of the fish on the package? Fun fact: Sebastopol, CA is named after the “venerable city” (sebastos polis) in Crimea. Thank you so very much for the kind words, Kristine.